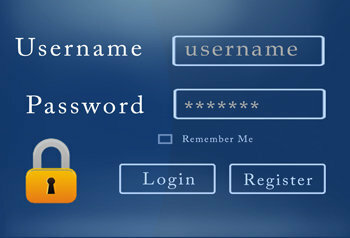 Every online account requires an account name (often your name or email address) and a password. These days, most people have dozens of accounts all of which require a password. Many people, because it’s so annoying and difficult to remember two dozen different passwords use the same password for multiple accounts. This is a big mistake because if one of your accounts gets hacked then all of your accounts are at risk. A recent study shows that a significant number of people are using easily hacked passwords like 123456, ILoveYou, password, abcdef, admin, and login. Some people keep a spreadsheet or a word document on their PC that contains all of their account names and passwords. This is also a mistake as the criminals who hack into your PC will easily find this password list and use it to their advantage. The safest and easiest way to keep your online accounts safe is to use a password manager. There are many paid and free versions to choose from. PC Magazine has written two articles on them. See the links below. If you choose not to use password manager software, you should at the very least change your passwords frequently, use upper case, lower case, numbers and special characters in your passwords, and don’t store your account names and passwords on your computer. And if at all possible, never reuse an old password.